This holiday season, Complete Care Medicine invites its patients and Gilbert area residents to donate unwrapped toys to benefit Toys for Tots. (Newswire.net — December 11, 2017) Gilbert, Arizona — The holiday season is in full swing at Complete Care Medicine in Gilbert, Arizona. The doctors and staff at the Gilbert health center are asking everyone to take a few minutes during their preparations for this year’s festivities to make the season special for a child in need. 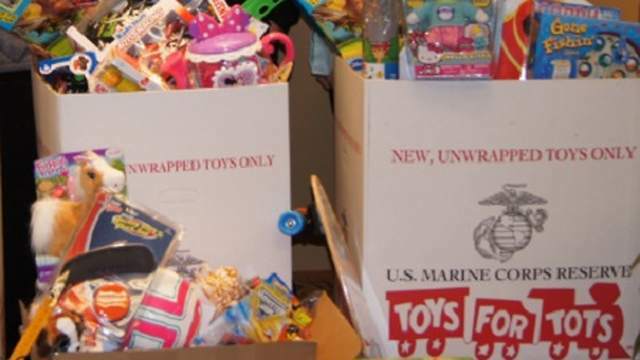 They can do this by donating an unwrapped gift to the U.S. Marine Corps Reserve Toys for Tots drive. New, unwrapped toys can be dropped off at the lobby of Complete Care Medicine at 1489 S. Higley Road, Gilbert, Arizona, from Dec. 11 through Dec. 22. Arrangements will be made to have all donated toys delivered to needy children in time for the holidays. Offering a full range of health care for all patients from newborns to the elderly, Complete Care Medicine has established itself as the Gilbert family physician people know they can rely upon for caring, personalized health care. The services they offer include routine checkups, pediatric care, vaccinations and minor surgical procedures. Other medical services offered at the Gilbert office include school physicals, sports physicals, minor surgical procedures, and diabetes management. They have also added licensed physical therapists to their staff to offer on-premises physical therapy services to patients. The care given to patients is enhanced by the ability of the physical therapy staff and referring physicians to readily consult with each other and make adjustments in the treatment plan. All of the health care providers affiliated with Complete Care Medicine live and work in the Gilbert area, so their commitment to helping members of the community who might not otherwise be able to afford toys for their children is their way of giving something back to their neighbors. Help them deliver a message of hope by dropping off a new, unwrapped toy to their Gilbert Medical Center to be delivered this holiday season to a child in need. Visit the Complete Care Medicine website at www.completecaremedicine.com for directions to their office or call 480-457-8800 for further details on this holiday charitable opportunity. You will find a more complete list of our services below. If you are looking for an experienced and caring Gilbert family practice doctor’s office we invite you to call 480-457-8800 and make an appointment so you can see for yourself how we do things at Complete Care Medicine.